Think of the most successful TV shows of our time and you'll notice many of them involve workplace situations. Workplace TV shows tap into an area of life that people can relate to. Even if your job is very different than those you see on TV, it takes the familiar setting and turns it on its head to make even more interesting situations. Here are the best TV shows on ONE HD (Astro Ch. 393) set in the workplace for your weekend entertainment! 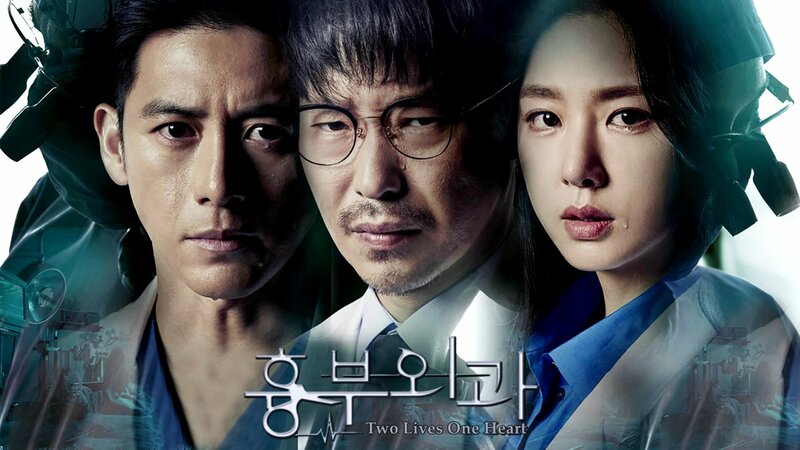 A different take on the typical medical drama, Two Lives One Heart captured the dilemma of a son who is also a doctor, Park Tae Soo (played by Go Soo), who gets caught between his professional and personal opinion when his mother decides to undergo a heart transplant surgery. His rival, Choi Seok Han (played by Eom Ki-joon), a full-fledged surgeon is prominent for his skills, but doesn’t receive the respect he deserves because of his low level of academic background. The two start out on good terms, but when Choi Seok Han decides to grab an opportunity to better his life and career, they start going down different paths. A Korean TV show would not be complete without some love stories. Thirty But Seventeen is about a 30-year-old single man who works as a set designer. Yang Se Jong does not want to have a relationship with others due to a trauma he experienced 13 years ago. Later, he meets a 30-year-old woman, Woo Seo Ri (played by Shin Hye Sun) with memories of 17-year-old, and they both get involved with each other and fall in love. This drama that the characters are facing will give you a lesson on dealing with internal battles on your own. Yoon Si Yoon leads the lawyer parade in this legal thriller as both Soo-Ho and Han Kang-Ho. The identical twins live totally different lives. While one works as a judge, the other owns a criminal record. Later, Han Kang-Ho secretly takes his brother's place as a judge after his brother disappeared. If you are under investigation or debating whether or not law profession is for you, this might be the best one to watch it! Workplace TV shows take us into unusual workplaces, ones that most people never experience, because it is the unknown that intrigues us, we get a glimpse into how the “other side” lives.